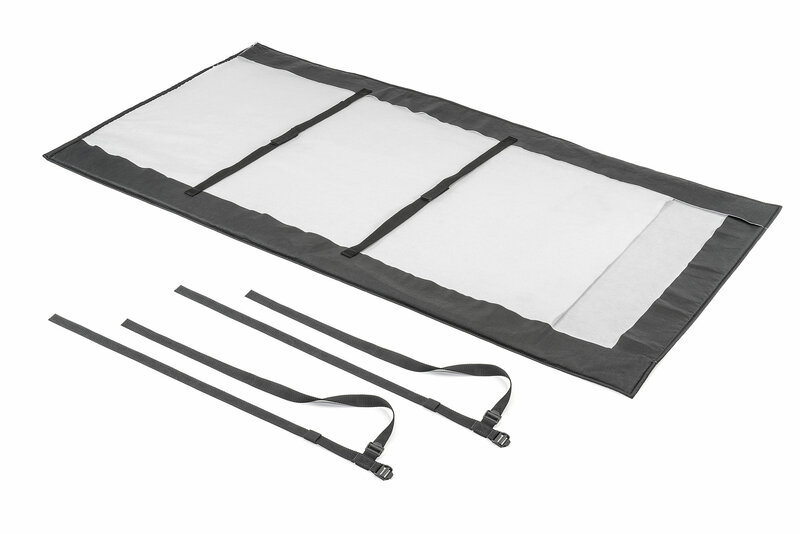 The Soft Top Window Protection Roll will pamper your soft top windows when removed and protect them from scratches, creases and sticking together in hot weather. 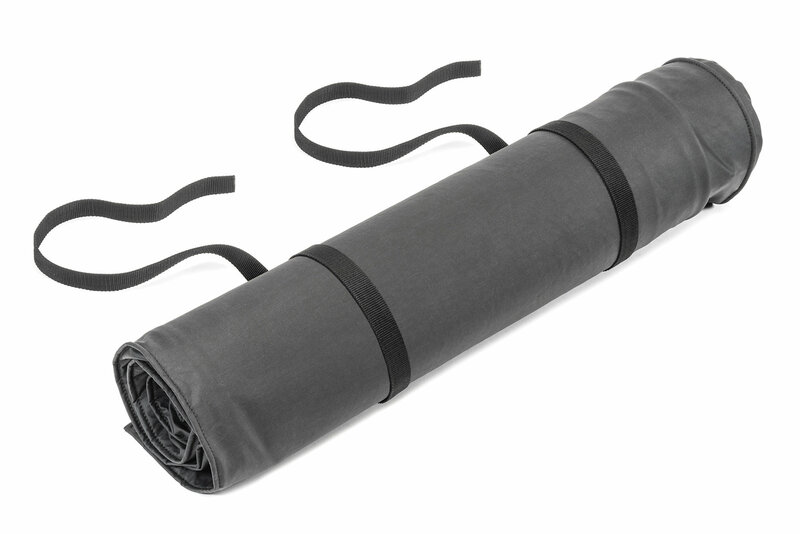 The Window Protection Roll’s exterior is constructed of durable black vinyl coated OEM Approved Soft Top Fabric material with a soft non-woven backing that pampers your soft top windows. 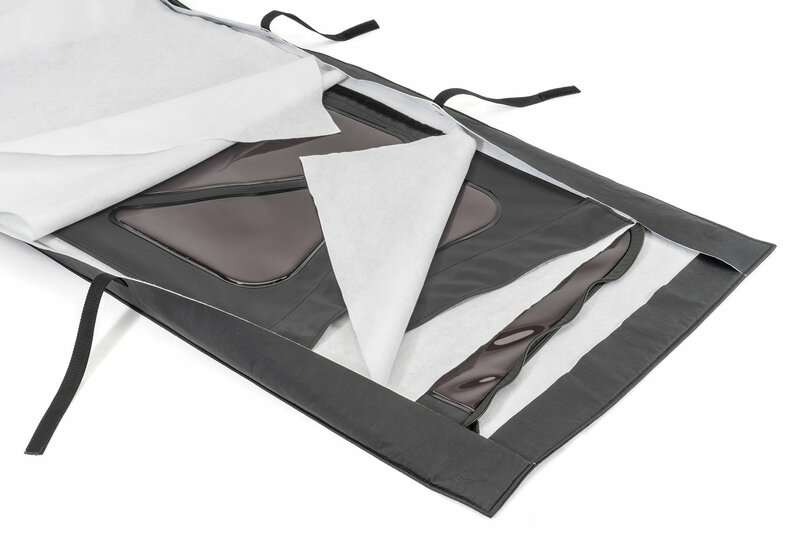 The interior also features 3 static resistant, ultra-soft felt panels that completely separate and protect your top’s PVC glass. 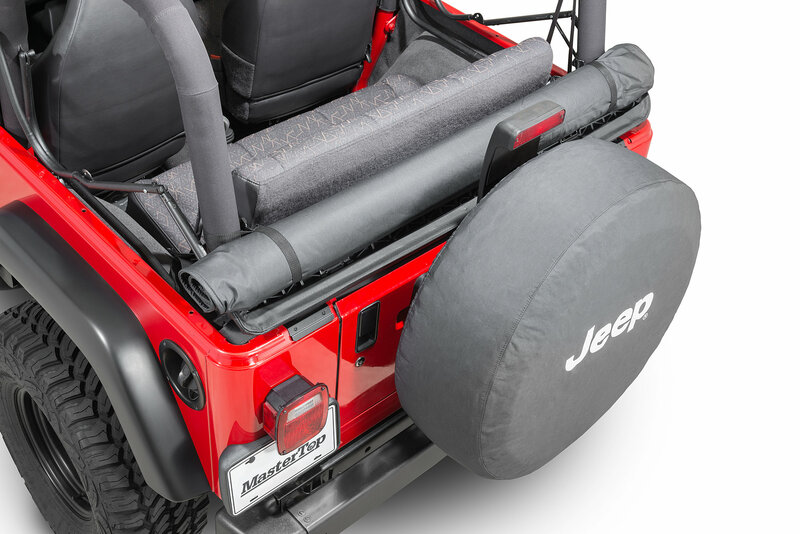 The unique design allows the windows to be rolled for storage behind the rear seat for all Jeeps or for 2006 and older Jeeps you can roll your windows in the wider direction that stores and secures on top of your folded down soft top behind the rear sport bar with the included straps. 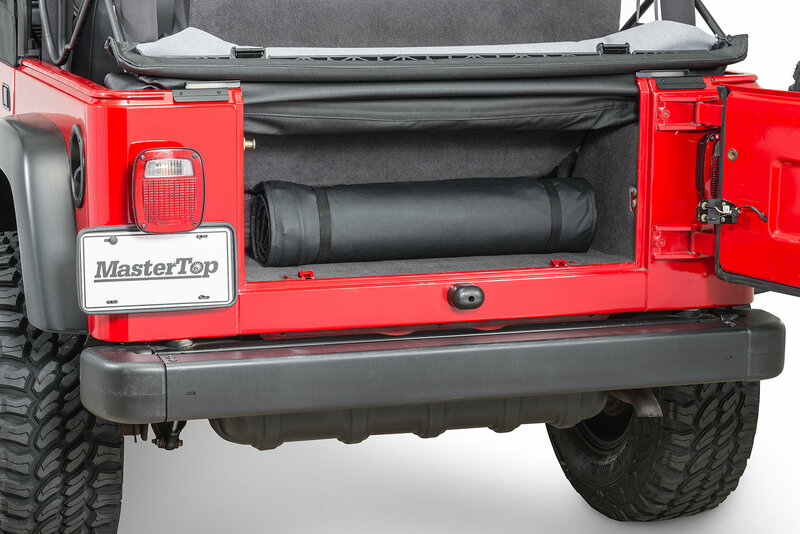 The Soft Top Window Protection Roll secures both rear quarter windows and the rear window. Really nice storage for the vinyl windows. Soft interior does prevent scratching. The interior fabric WILL pick up debris very easily (dried grass, leaves, etc.). I keep mine rolled up behind the back seat for sunny days when I want the windows off. Very convenient. This thing is worth every penny! Very well made. Nice thick material and strong stitching. 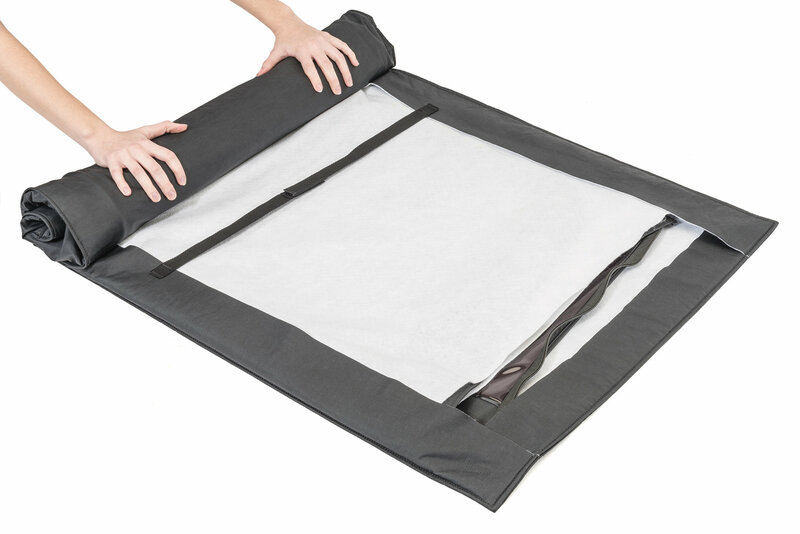 I was wrapping my windows up in a vinyl picnic tablecloth that had a soft felt backing. Worked but looked pretty corny. This roll works much better. 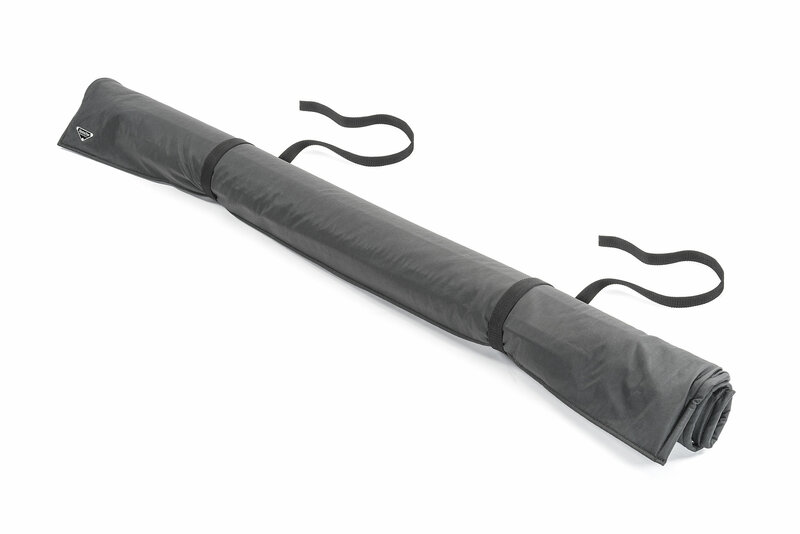 The felt sleeves are excellent for separating the windows from each other, and the whole thing rolls up nice and tight with no trouble at all. I rolled it the narrow way, and it fits perfectly behind the rear seat and tailgate. Works as advertised, and exactly what I was looking for! Thank you! 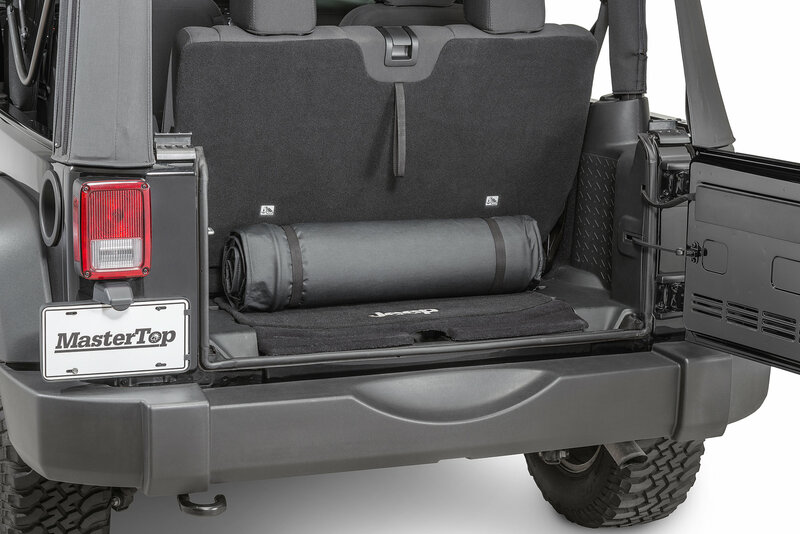 Can the rear window support bar be left on the rear window before rolling up long ways in this storage bag? No, you will need to remove the tailgate bar from the rear window. Thank you for your question.